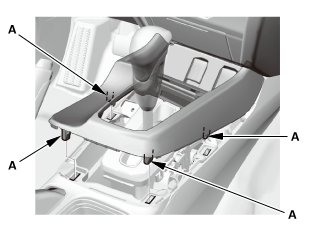 NOTE: The park pin switch and the shift lock unit are not available separately. 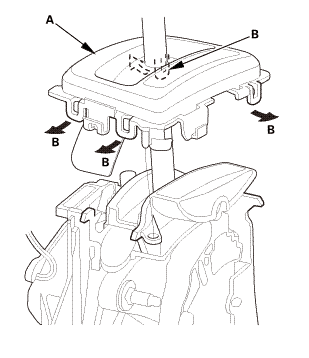 Replace the park pin switch and the shift lock unit as a set. 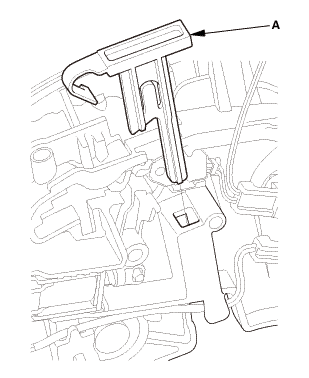 Release the lock tab (B) and turn the pivot pin (C) counterclockwise using a hex wrench (D) as shown, and pull it. 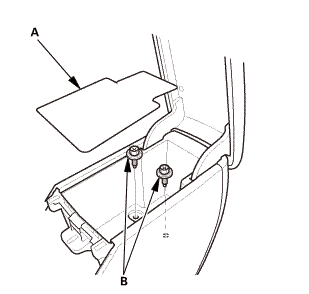 Remove the shift lock unit (E) while releasing the four lock tabs (F). 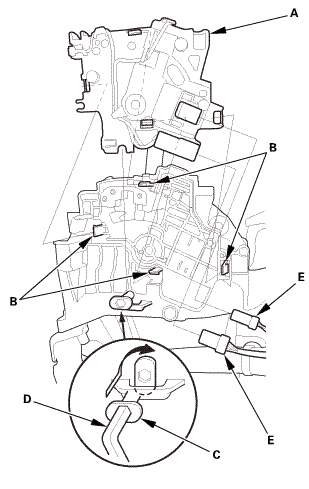 Remove the shift lock release (A). 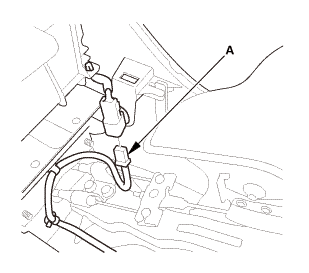 NOTE: The park pin switch and the A/T gear position indicator panel light harness are not available separately. 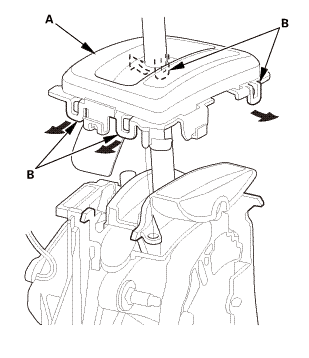 Replace the park pin switch and the A/T gear position indicator panel light harness as a set. 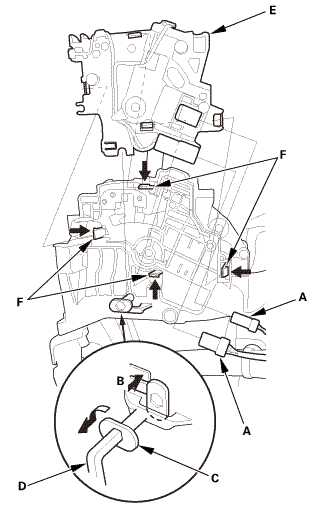 Remove the park pin switch (B). 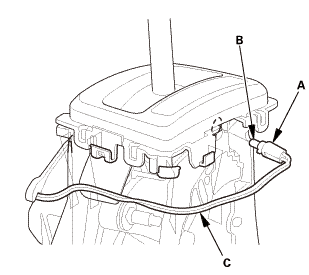 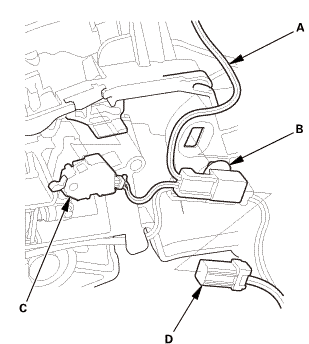 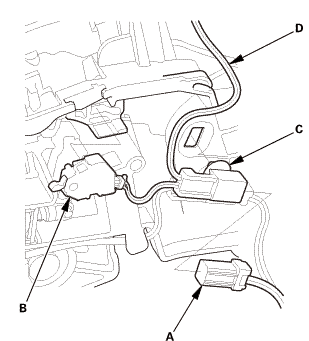 Remove the connector clamp (C), then remove the A/T gear position indicator panel light harness (D). 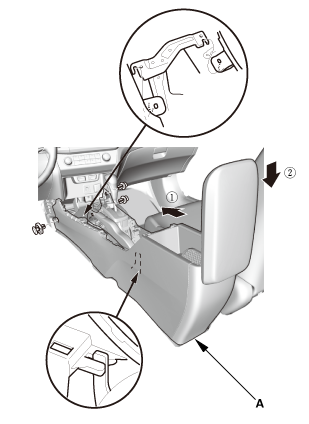 Install the A/T gear position indicator panel light harness (A), then install the connector clamp (B). Install the park pin switch (C). 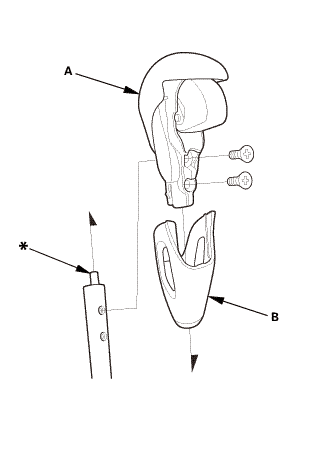 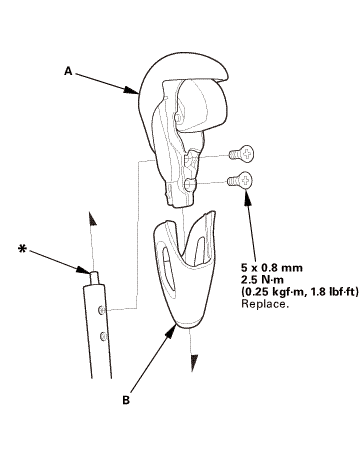 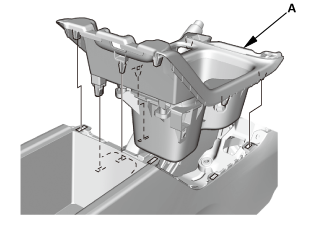 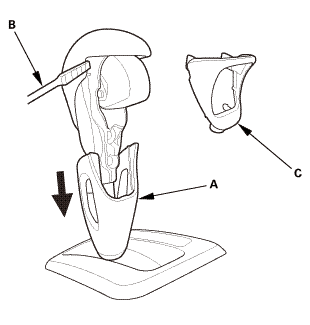 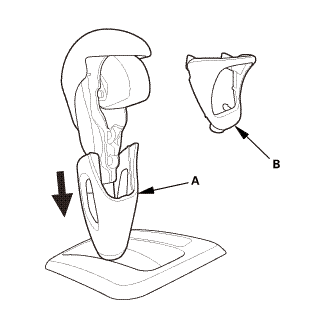 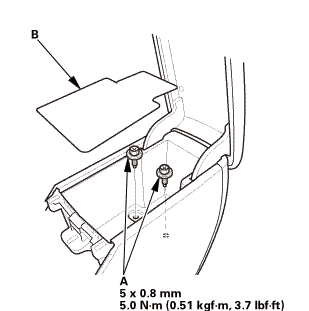 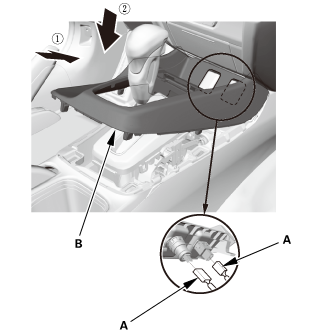 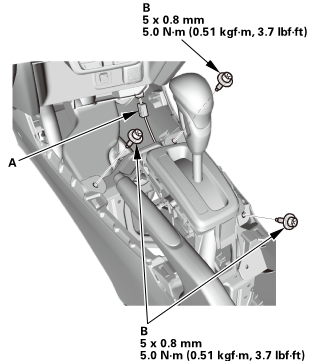 Install the shift lock unit (A) by aligning the four lock tabs (B). 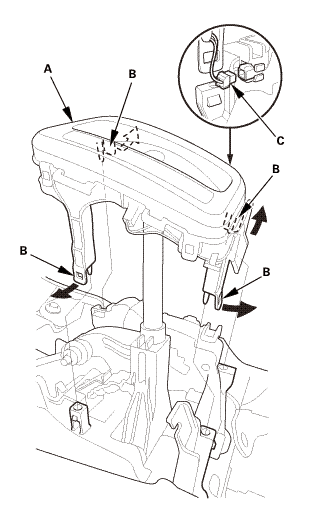 Push the pivot pin (C), and turn it clockwise using a hex wrench (D) as shown. 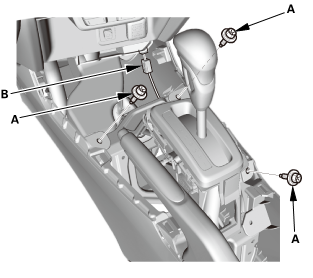 Install the shift lock release (A).